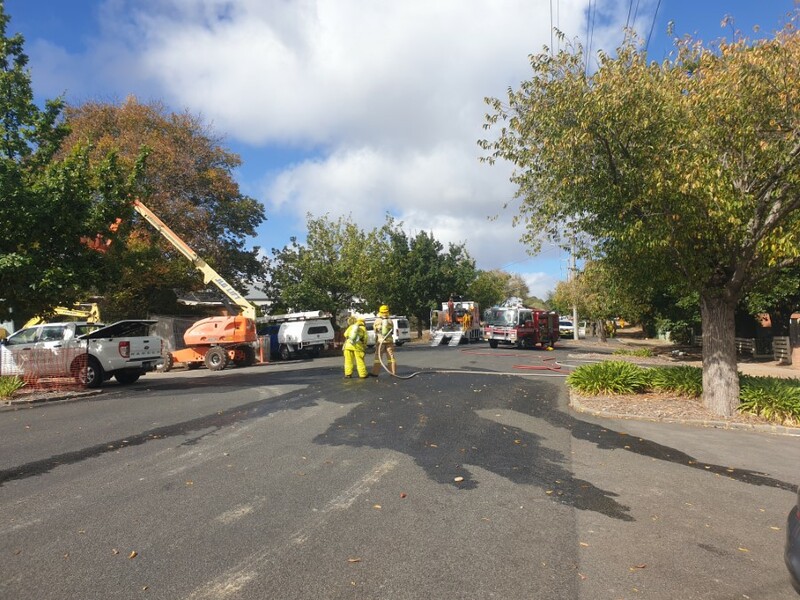 A gas main ruptured during excavation works in Gisborne yesterday morning shut the area down for four hours. 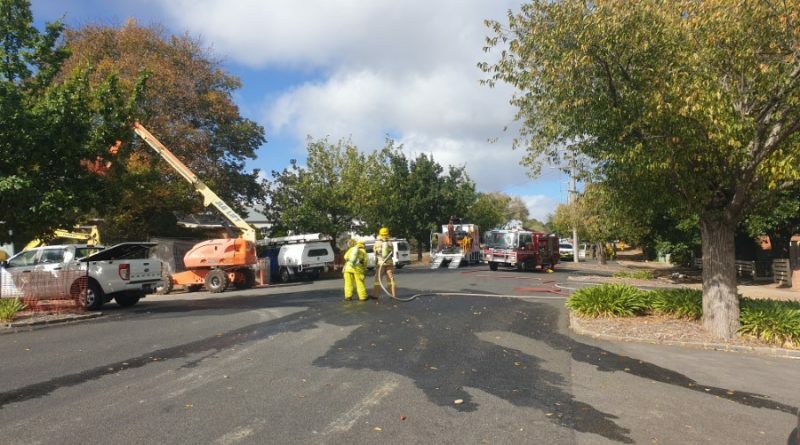 Brantome street was closed off between Hamilton and Fisher streets while Riddells Creek and Gisborne fire brigades worked to make the area safe. Residents and shop owners in the direct path of the vapour cloud were briefed and evacuated from the site. Incident Controller Lieutenant Bevan Moody said, due to the protracted nature of the incident, additional specialist resources were used to manage the welfare of the community. “Once the gas company arrived on scene, they advised that it could take well over two hours to shut off the leak due to the location of the main,” he said. “We had to continue to supply fire suppression coverage in case of explosion and to ensure the surrounding community were safe from the gas vapour. Extra firefighters were called in from Woodend, Riddells Creek, Mt Macedon and Kyneton to relieve members that had been working in breathing apparatus. The area was shut down for four hours while the gas company worked to secure and shut off the leak from the affected pipe. Victoria police assisted with securing the area and evacuations. Once the area was deemed safe, it was re-opened to the public just after 1pm. *** A special thanks was given to the Corner Cafe for supplying coffee and also to Subway for providing food to emergency services on scene. 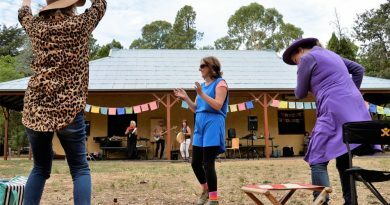 Cate Mercer of Castlemaine, Gen Ward of Castlemaine and Beverley Hope of Guildford couldn't resist the chance to get up and dance during Friday's International Women's Day celebration in the botanical gardens. 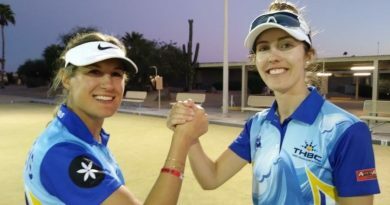 Outstanding lawn bowler Chloe Stewart, only 22, still calls Kyneton home despite moving interstate a couple of years ago...and she has just taken America by storm winning the Bowls USA Open Singles, plus the open pairs title with England's Donna Knight.